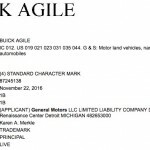 General Motors has filed an application to register Buick Agile and Agile as trademarks with the United States Patent and Trademark Office (USPTO), GM Authority has discovered. 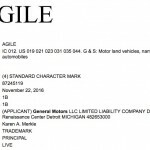 The automaker’s November 22nd, 2016 applications specify that the marks will be used in conjunction with “Motor land vehicles, namely, passenger automobiles”. 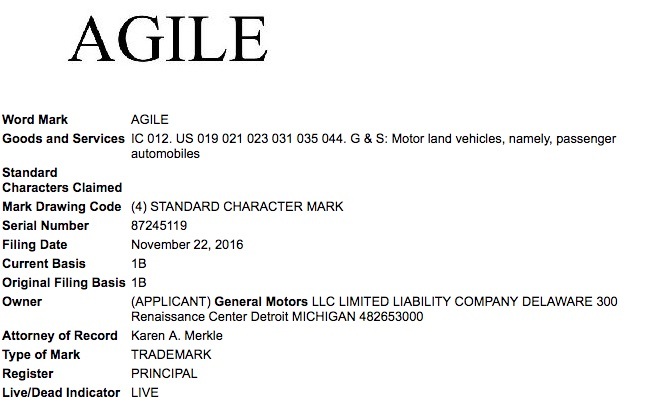 As with GM’s trademark filing for Buick DDB, these application pique our attention given that both are filed in the Goods and Services category associated with trademarking vehicle names, therefore suggesting upcoming vehicles or concepts. 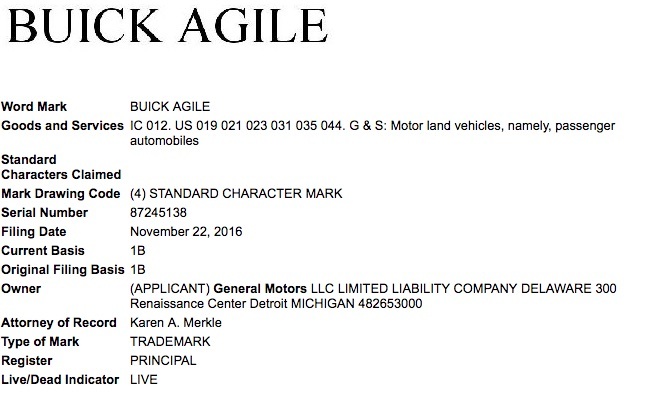 Stay tuned to GM Authority as we follow this story now and into the future, and follow our coverage of Buick news and GM news. Or could the Agile be the Opel Adam? The Grandland X, and whatever other products that come as a result of the PSA partnership, won’t make it outside of Europe.